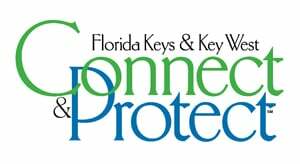 The richly diverse ecosystems of the Florida Keys can be discovered in hidden gardens, tucked off main thoroughfares and the Overseas Highway, throughout the 125-mile-long island chain. 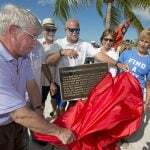 Names of Florida Keys subtropical trees, plants and flowers often are mysteriously lyrical, with monikers such as “gumbo limbo,” known as the “tourist tree” because of its peeling red bark (really! ), and “lignumvitae” — Latin for “wood of life,” whose dense bark contains a resin used for treating arthritis. 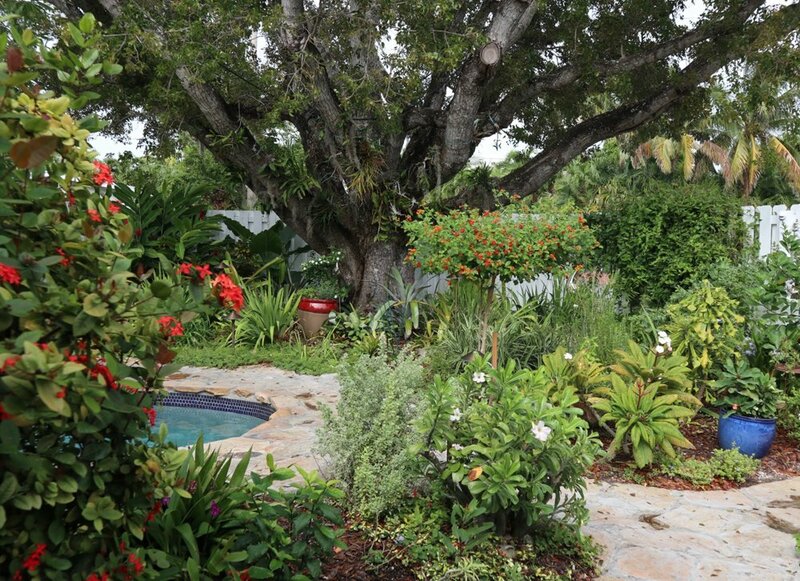 Hidden gardens, nurtured and enjoyed by Keys locals, protect and preserve rare and exotic trees, plants and flowers. And they’re open to the public, providing behind-the-walls access, during winter garden tours. Exploring these spots is a rare treat that lets visitors make a meaningful connection to the island chain’s natural world. The Marathon Garden Club’s Annual House & Garden Tour gives visitors a chance to encounter unique horticulture and outdoor foliage, exotic plant species and hidden natural beauty. 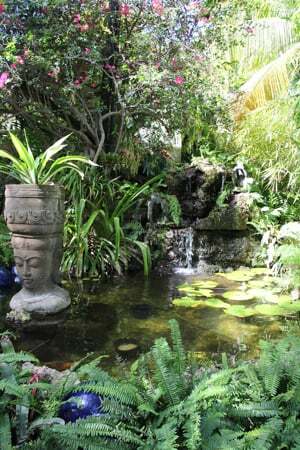 Tour participants can attend a complimentary tea party between 10 a.m. and 4 p.m. on the grounds of the Francis Tracy Garden Center in Tavernier (mile marker 94 bayside). Attractions include an exhibition by the Art Guild of the Purple Isles, plus a Garden Market featuring plants, food, artisan wares and crafts available to buy. 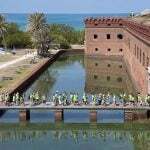 This intriguing tour is a favorite “can’t-miss” event for locals — and allows visitors a unique chance to discover Keys residents’ beautiful indoor and outdoor spaces. 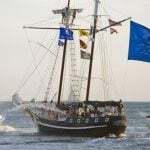 Tickets can be purchased at the club (5270 Overseas Highway at mile marker 50 bayside) or the Marathon Chamber of Commerce at 12222 Overseas Highway. 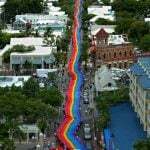 The 15-acre Key West Tropical Forest & Botanical Garden — celebrating its 83rd anniversary as the only frost-free tropical moist forest garden in the continental United States — is hosting GardenFest Key West: The Green Market Place 2019 Saturday and Sunday, Feb. 16-17, beginning at 10 a.m. Admission is free. Attendees can browse and buy tropical and native plants, including more than 150 species of native plants in the garden’s nursery. Arts and crafts, eco-friendly products and services, a children’s program, live music, refreshments and an on-site beer garden round out the event’s enticing aspects. The garden itself is a fascinating attraction. 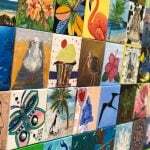 Rich in biodiversity, it’s home to plants native to the Florida Keys, Cuba and the Caribbean. It includes two wetland habitats, two butterfly gardens, seasonal flowers and national and state champion trees — all awaiting exploration via eight self-guided tours. The Key West Garden Club at West Martello Tower presents tours of four private gardens from 10 am. to 3 p.m. Friday and Saturday, Feb. 22-23. 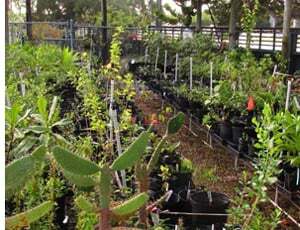 Native plants from the Key West Tropical Forest & Botanical Garden’s nursery will be available for GardenFest attendees to view and purchase. The club’s tours include gardens created by noted landscape designer Patrick Tierney at the home of a former U.S. Navy commander in the Truman Annex neighborhood. Other private venues showcase butterfly gardens, orchid collections and fruit trees. The garden club site is a tranquil haven overlooking the Atlantic Ocean at 1100 Atlantic Blvd. It features a white perfume garden with fragrant jasmine, gardenias, sweet almond and Chinese perfume plants — as well as indigenous plants, rare palms and plant exhibits. These lovely trees and plantings are set against the backdrop of historic West Martello Tower, a never-used fortification built during the Civil War era. It was declared a National Historic Site in 1976 and today is listed in the National Register of Historic Places. Tickets can be purchased in advance or at the featured locations on tour days. By exploring Florida Keys gardens, visitors can discover the island chain’s horticulture and outdoor foliage, hidden natural beauty, unique ecosystems and exotic plants — and add fragrant memories to a winter vacation in the warmly welcoming island chain.